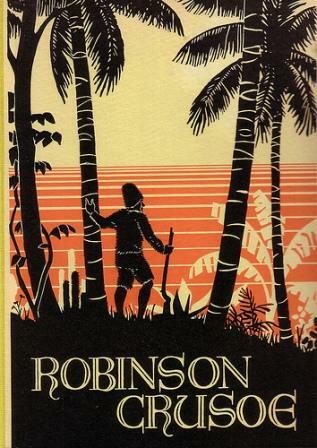 Tim Severin’s Seeking Robinson Crusoe (Macmillan, 2002) is a book which thoroughly explores its subject. 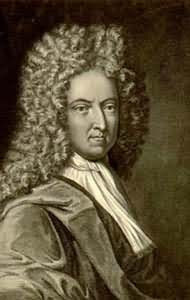 Starting with the familiar facts Severin searches out the requisite merits of the Selkirk story and assesses the likelihood of Defoe’s familiarity with it. As one would expect, Tim Severin begins his book with the accepted ‘real life’ inspiration for Robinson Crusoe – the sailor, Alexander Selkirk, who was marooned in 1704 but survived alone for over four years in complete isolation on a remote island in the Pacific Ocean. Severin himself journeys to the shores of the Juan Fernandez islands, where pitching his tent he tallies his own experiences and observations with the known accounts of Alexander Selkirk’s solitary stay there. 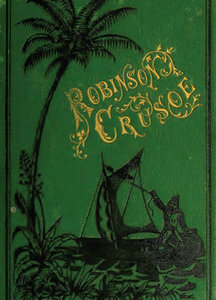 In my opinion, the great achievement of Seeking Robinson Crusoe is the way it successfully marries two genres, part historical narrative and part modern day travelogue, the book takes the reader on a series of adventures, skilfully blending the realities of the past and the present in a remarkable piece of writing. 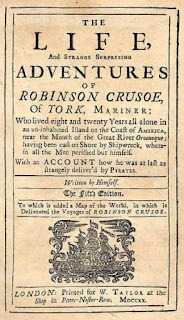 Rightly judging that Selkirk’s story is only one of many such tales of adventure on the high seas in the days when buccaneers and privateers roamed the oceans in search of spoils taken by force from Spanish galleons or Spanish settlements and towns on both the Caribbean and Pacific shores of the New World, Seeking Robinson Crusoe also explores a number of other true histories which, Severin argues, could each have been equally well known to Daniel Defoe. For example, tracing the story of a Miskito Indian, called Will, who preceded Selkirk as a castaway on Juan Fernandez. Surviving there for three years, Will’s story is supposed to have been in part a plausible inspiration for the character of Man Friday. Miskito Indians, from the swampy coastal region stretching between Nicaragua and Honduras, more commonly known as the ‘Mosquito Coast,’ were often recruited by western sailing ships largely for their prodigious skills in ‘striking’ – this was a technique of spear fishing which often kept entire crews fed in times of extreme adversity. Severin neatly departs from his historical narrative to give an account of his own adventures exploring the Mosquito Coast where he meets the descendents of the Miskito strikers who were such an essential part of the privateer crews, only to find that the buccaneer of bygone days is alive and still at large in these waters where he continues to ply his contraband trade in the form of modern day narcotics trafficking. Other castaways whom Severin goes in search of include Lionel Wafer, a buccaneer surgeon who after being wounded in a pirate raid persevered with a small band of companions through a relentless set of travails in extremis in order to survive the jungles of Panama. Wafer and his companions were reluctantly helped in part by the Kuna tribe whose descendants were far more welcoming of Tim Severin when he arrived in their community. Here Severin finds that the Kuna have since migrated from the mainland to a chain of small islands where they now lead a communal kind of Crusoe-like existence. In the wandering course of his researches, Severin encounters many such modern day Robinson Crusoes, including a small detachment of Colombian soldiers who are posted to defend their country’s sovereign claim to a small strip of sand known as the Serrana Bank. This “low, whale-backed sandbank, barely rising above water level” is named after Pedro Serrano who was shipwrecked there in the sixteenth century, and – so it is told – amazingly managed to survive for seven years, even though the desert island gave no shelter nor had any source of fresh water. 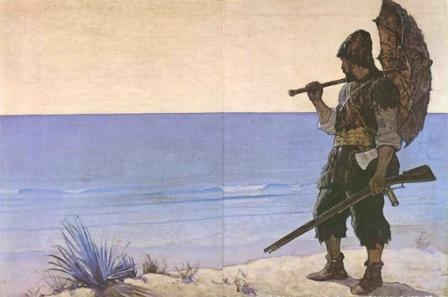 In his search to find all these possible and more probable elements of inspiration for Defoe’s hero it is a bygone castaway by the name of Henry Pitman whom Severin finally comes to rescue. Pitman and a small band of companions escaped from ‘white slavery’ in Barbados in a small leaking open boat, crossing some 370 miles of sea, only to fall into the hands of pirates who left them marooned on the island of Salt Tortuga. 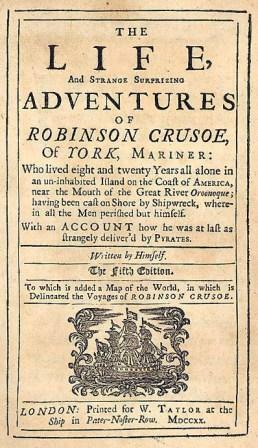 In retracing Pitman’s voyage, journeying to the island in a small sailing boat himself, Severin discovers a number of parallels as related in Pitman’s own account – ‘A Relation of the great suffering and strange adventures of Henry Pitman’ which was published thirty years before Defoe’s fiction. And, in a further bibliographical rather than geographical excursion, Severin stumbles upon a highly probable and convincing connection between the two men which neatly bolsters his claim that, whilst all these true tales can, and in all likelihood did to varying degrees, contribute towards Defoe’s original inspiration, it is perhaps Pitman’s tale which should be attributed the largest share. Fitting excellently into that tradition of adventure writing which it sets out to examine, Seeking Robinson Crusoe shows us what it once truly was to live and survive on the knife edge of a larger and perhaps more forbidding world; where everyday existence could be a plight to survive in defiance of the odds even before one found oneself marooned upon some far flung, desolate and inhospitable shore. The main strength and success of the book undoubtedly lies in Severin’s accomplished ability to plait together the twin strands of a historical narrative, which he fully explores in the present, and gives thereafter his own true and faithful account. His adept travel writing skills certainly allow him to portray with real immediacy the tough realities and the extreme hardships which many of these now quaintly fabled, old sea-dogs of a former age managed to endure (or not as the case may be). He also manages to show us how the myth of the castaway as embodied by Defoe’s fictional creation continues to endure in all the many modern day counterparts he meets as real characters living in our own day. He splices these two narratives perfectly into a single perspective. Severin’s writing has a lightness of touch which carries the book swiftly with assurance. He stops to colour his prose only where it is most suited to dwell slightly longer than usual. The text is also complimented with maps and illustrations of mainly historical relevance; the only thing to be regretted is that there are no photographs of Tim Severin’s own remarkable journeys in search of the eponymous castaway.